Fans of one-of-a-kind specials, soundtracks and cinematic-related scores should check out several great new commercial titles available now. 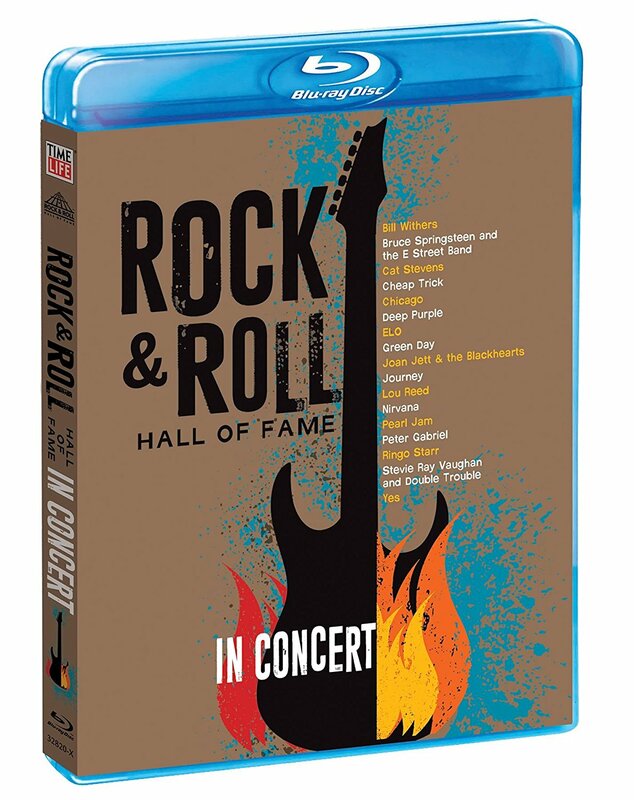 Tell me more: It's hard not to be blown away watching the Rock and Roll Hall of Fame: In Concert, a release available on Blu-ray and DVD featuring the Rock and Roll Hall of Fame induction speeches and performances from 2014-2017. With 674 minutes of content, there are guaranteed thrills for everyone along the way. 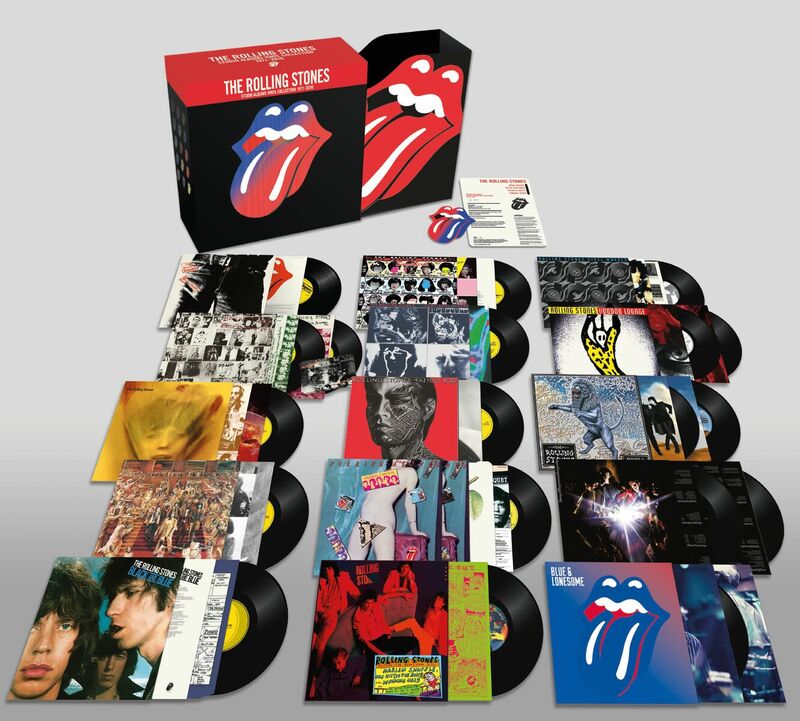 Among this music lover's highlights among the 53 (!) performances was Peter Gabriel's powerful "Digging in the Dirt," Carrie Underwood singing the Michael Nesmith-penned "Different Drum" in tribute to Linda Ronstadt, Joan Jett & the Blackhearts performing "Crimson and Clover" and being joined by the song's composer Tommy James along with Dave Grohl and Miley Cyrus, and Beck adding an anthemic quality to the late Lou Reed's "Satellite of Love" with the help of a few friends (Roger Joseph Manning Jr., Nate Ruess, Jason Falkner and Paul Shaffer & the Hall of Fame Orchestra). The entire section featuring Ringo Starr's Award for Musical Excellence is terrific, with both Paul McCartney and Starr shedding insight and humor into the Fab Four's beginnings and subsequent performances of "Boys" (with Starr joined by Green Day), "It Don't Come Easy" (featuring Joe Walsh on 12-string guitar, you can watch the performance of "It Don't Come Easy" via this link)) and the rousing finale with Starr, McCartney, Walsh, Beck and others joining forces. Among the standout performances at 2016's ceremony that shine are Deep Purple blazing through the classic "Highway Star" and Cheap Trick's full original lineup teaming up for a jubilant rocking set ("I Want You To Want Me," "Dream Police," "Surrender" and "Ain't That a Shame"). You can watch the performance of of "I Wan't You To Want Me" via this link). The 2017 ceremony led off with a outstanding sets from ELO; other strong sets came courtesy of Joan Baez, Yes and Pearl Jam. Information: timelife.com. Tell me more: The airing of Jesus Christ Superstar Live in Concert on NBC-TV on April 1, 2018 (Easter Sunday) drew an estimated 10 million viewers and reintroduced the power of the enduring rock opera created by lyricist Tim Rice and composer Andrew Lloyd Webber in the early 1970s. The live TV musical is now available as a 2CD audio set and will please fans of those who caught the special earlier this month. 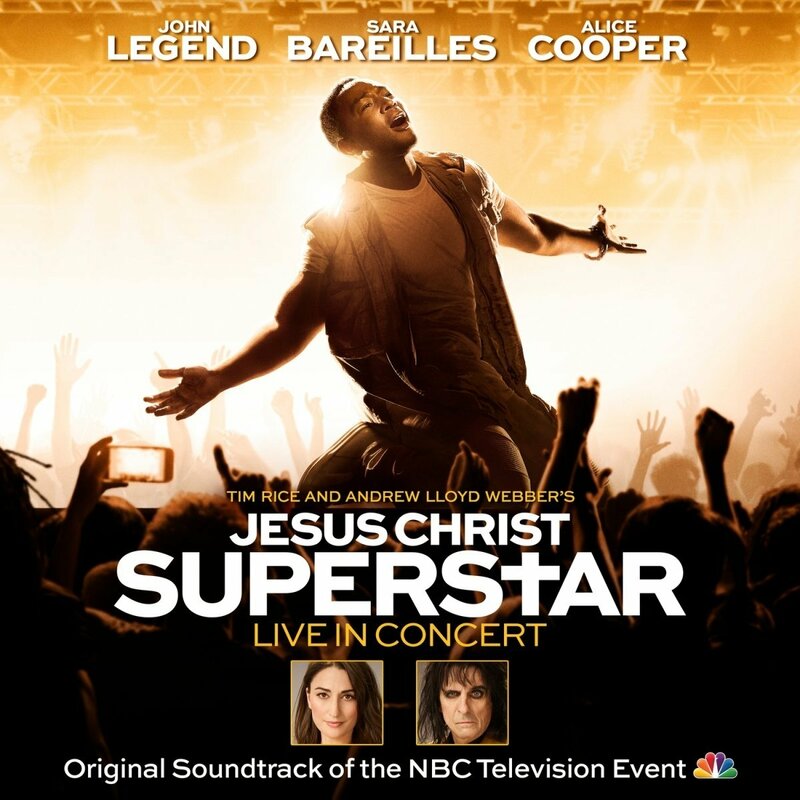 Soul singer John Legend (a 10-time Grammy winner) is featured as Jesus Christ and the rest of the cast is just as strong, notably Sara Barelles (Mary Magdalene), Alice Cooper (King Herod), Brandon Victor Dixon (Judas) and Jason Tam (Peter). 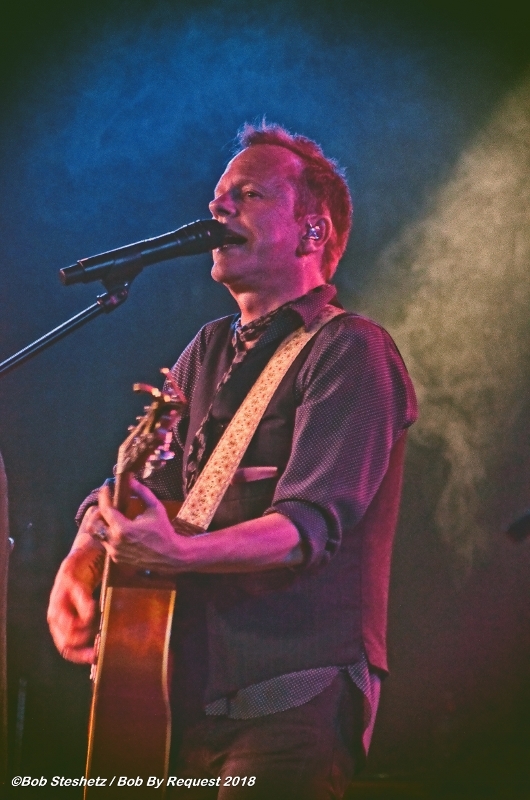 Other members of the cast include Ben Daniels (Pontius Pilate), Norm Lewis (Caiaphas), Jin Ha (Annas) and Swedish rock star Erik Grönwall (Simon Zealotes). Legend's vocals are up to the task for the wide range of emotions he conveys in the demanding role of Jesus, notably on the foreboding "Gethsemane (I Only Wanted to Say)" and "The Last Supper" as well as on the tragic "The Arrest" and "The Crucifixion." Among the strong performances featuring Barelles are "Everything's Alright" and the tender "I Don't Know How to Love Him." Another standout on the recording is "King Herod's Song," a zealous turn from Cooper. Dixon and the ensemble of singers' voices soar on the gospel-styled "Superstar." Information: masterworksbroadway.com. 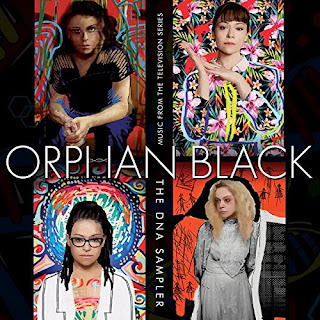 You might like if you enjoy: The music featured on the TV series "Orphan Black"
Tell me more: Those who love to be challenged by a mix of modern, vintage and indie music styles will love the vibe and mix of material on Orphan Black: The DNA Sampler - Music From The Television Series. While nothing on the set sounds decidedly similar to anything else, isn't that what makes going to Coachella or listening to independent radio so fun? After the lush introduction via the wistful theme from the series (performed by Two Fingers), there is the edgy electro-dance "Bodyline" from Peaches and urban-styled "Smash It Up" from The (International) Noise Conspiracy to lead things off. The Belle Game's dreamy "Blame Fiction" and a sassy cover of "These Boots Are Made For Walkin', the latter performed in German, are other early highlights. Among the other far-flung favorites positioned on the collection is the melancholy-drenched "Farewell (Tavern in the Town) performed by Self-Titled Studios featuring Mary Margaret O'Hara and the punkish "Go" from Grimes. Information: VareseSarabande.com. Tell me more: Beautiful and immersed in luxurious moodscapes, Nostalgia: Original Motion Picture Soundtrack has a beautiful and moving flow that spans the entire 11-track disc. 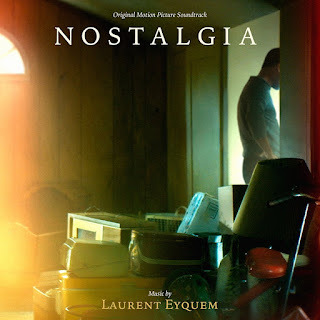 Produced by composer Laurent Eyquem and featuring his own affecting performances on the piano, the score is simply sumptuous. The score is also bolstered by the cello of Erich Kory and solo trumpet of Ron Di Lauro. 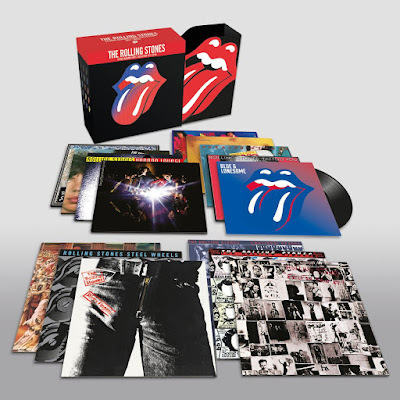 Information: VareseSarabande.com. Tell me more: Composer Laurent Perez Del Mar's score for I Kill Giants works within or apart from the companion fantasy film directed by Anders Walter. The sweeping "The Forest," tender "Karen" and evocative "Thousand Times" are particularly stirring. "Fight the Forest Giant" recalls some of composer Howard Shore's dynamic work for the "Lord of the Rings" films. 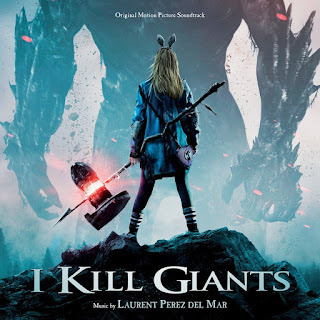 In addition to Del Mar's great instrumental score, the textured song "Under the Stars" (performed by London Grammar) and enticing "Something So Strong" (courtesy of Rasmus Walter) further enhance the 17-track collection. Information: VareseSarabande.com. Wow! The just-announced line-up for the 2018 OHANA festival sounds amazing; Eddie Vedder, Mumford & Sons, Beck, Amos Lee, Johnny Marr, John Doe, Bahamas, Switchfood...What a terrific lineup! OHANA FESTIVAL will once again return to beautiful Doheny State Beach in Dana Point, CA for a third year this September with performances from Eric Church, Eddie Vedder, Mumford & Sons, Beck, Norah Jones, Yeah Yeah Yeahs, Amos Lee, Liz Phair and many others (full line-up below). The acclaimed three-day festival--set for Friday, September 28, Saturday, September 29 and Sunday, September 30--celebrates some of the top singers, songwriters and musicians, taking place just steps away from the sands of one of Southern California's most iconic beaches. The initial 2018 OHANA line-up is as follows: Eric Church, Eddie Vedder, Mumford & Sons, Norah Jones, Yeah Yeah Yeahs, Amos Lee, Liz Phair, Young the Giant, Nikki Lane, Bahamas, Switchfoot w/ Rob Machado, John Doe Folk Trio, Plague Vendor, Andrew McMahon in the Wilderness, Hiss Golden Messenger, The White Buffalo, NoMBe, Fantastic Negrito, The War + Treaty, Lauren Ruth Ward, Allan Rayman, Dave Hause, Nick Hakim, Kevin Devine, Billy Raffoul, Timmy Curran, Lilly Hiatt, The Palms, Desure, The Alive. "...a unique concert with a salty-air twist...Ohana, which translates to "family" in Hawaiian, is more than just about music. The event serves as a fundraiser for ocean-minded nonprofits, including the Wyland Foundation, the Ocean Institute, the San Onofre Parks Foundation and Doheny State Beach Interpretive Association." "It's location at the idyllic Doheny State Beach makes it easy to go for a surf in the morning, and take in tunes in the afternoon." "Ohana Fest, the three-day music festival organized by Eddie Vedder and his pro surfing buddy Kelly Slater, returned to Dana Point, California's Doheny State Beach for its second year yesterday. Last year, Vedder was everywhere at the fest, performing with Elvis Costello, X, Jack Irons, Band Of Horses, and more, and it seems like he's making it his mission to play with everyone at this year's fest too." "This past weekend, Pearl Jam frontman Eddie Vedder headlined the Ohana Fest in Dana Point, California's Doheny State Beach. It was the second year of the festival, which Vedder and pro surfer Kelly Slater organized, and it looks like it was a good time." "Eddie Vedder has played a big role in the emergence of the Ohana Festival on the music scene, so it's fitting that he was popping up all over the place this weekend." "Set up on a stretch of pristine California beach and state park grounds, with an eclectic line-up of friends, admired artists, and buzz-making newcomers all curated by Pearl Jam front man Eddie Vedder, the three-day event was an even more expanded version from its previous year's debut. The laid back vibe of what is turning out to be the summer's best music festival, included an abundance of various food trucks, drink options and family friendly activities including an on-site video arcade, various interactive games, food tastings and a row of hammocks that if you were lucky enough to score you could swing on and soak up the sun and sweet ocean air." "The Ohana Festival, curated by Pearl Jam's Eddie Vedder, was another massive success in its second year of existence. Thousands of music fans flocked to Doheny State Beach in Dana Point, California for the three-day festival which featured the likes of The Pixies, Eddie Vedder, Social Distortion, Haim, and Jack Johnson. The festival produced some impressive collaborations between Vedder and many of the other headlining bands, with Apple joining Vedder during his headlining set on the second day of the festival to perform the Neil Young classic "Rockin' in the Free World." Tickets for OHANA go on sale Friday, May 4 at 10:00 AM (PT) atwww.ohanafest.com. Single day GA passes start at $99.75, weekend GA passes are $275, single day VIP passes are $499.00, and VIP weekend passes are $1,200, all prices are + fees. A portion of the proceeds from OHANA will benefit the San Onofre Parks Foundation, a California non-profit that cooperatively works with the California State Parks to develop, preserve and enhance the recreation and experience of California's unique and beautiful coastal parks. OHANA is produced by Live Nation. About Live Nation Entertainment: Live Nation Entertainment (NYSE: LYV) is the world's leading live entertainment company comprised of global market leaders: Ticketmaster, Live Nation Concerts, Live Nation Media & Sponsorship and Artist Nation Management. 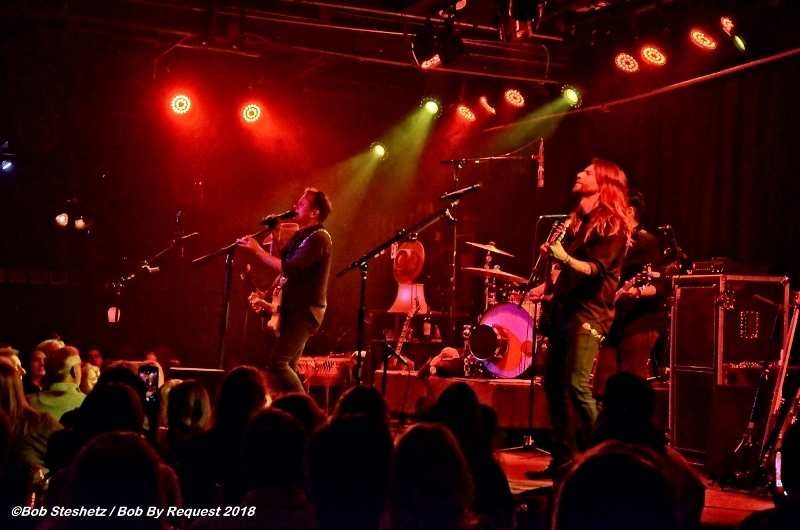 "Taylor Goldsmith, Dawes' songwriter and singer, deploys vocabulary with precision..."
"Is Dawes America's greatest rock and roll band… at least in the under-40 division? 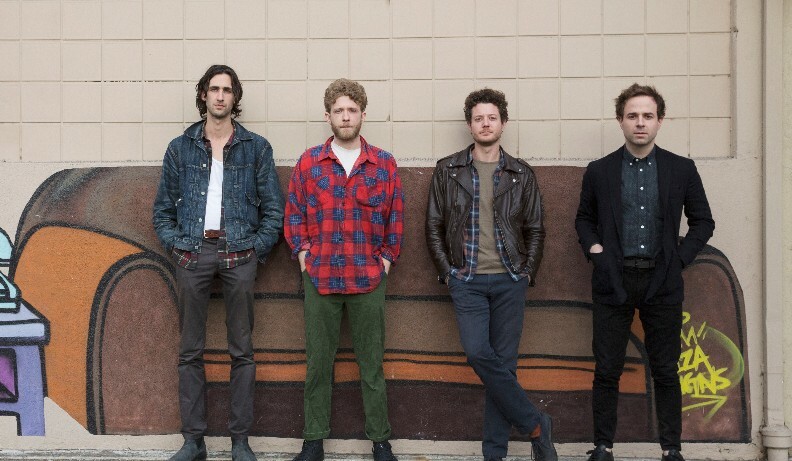 There's a case to be made for it..."
On June 22nd, Dawes will release Passwords, the group’s sixth studio album, and fourth on their own HUB Records. Passwords is an album for and about the modern age: the relationships that fill it, the politics that divide it, and the small victories and big losses that give it shape. "We're living in such a unique moment in history,” says lead singer and songwriter Taylor Goldsmith, “Many of these songs are an attempt to come to terms with the modern world, while always trying to consider both sides of the story." Dawes will debut the album’s first single, “Living In the Future,” on May 10th and you can watch the album trailer for Passwords here. Pre-order the album on all formats here and directly from the band here. In the decade since Dawes emerged from Southern California, the band, consisting of guitarist/singer Taylor Goldsmith, drummer Griffin Goldsmith, bassist Wylie Gelber, and keyboardist Lee Pardini, has evolved and electrified and grown into a forward-thinking band for the 21st century. The result is Passwords, a warm, lived-in album that spotlights Dawes’s strength as a live act while also staying rooted in studio craft and consideration. The album bounces between the familiar territory of guitar-driven indie rock (the anthemic, atmospheric "Living In The Future"); SoCal soul ("My Greatest Invention"); and modern folk ("I Can't Love," "Stay Down"), but also embraces a spacier, experimental approach thanks to the band's newest member, keyboardist Lee Pardini. Ultimately, Passwords is a clever and clear-eyed defense of empathy in the face of apathy (on songs like "Living In The Future") and a timely call for patience and understanding in an age of political partisanship (on "Crack the Case"). “Songs can be passwords,” Goldsmith says, “because they're a means of giving access to someone else's perspective, thereby elaborating your own.” In this way, Passwords uses its words wisely, unfolding with well-reasoned articulation and pointed punch, while never compromising the band’s innate musicality and song-writing prowess. Rarely has a band created such an appropriate soundtrack for the modern age, and with Passwords, Dawes does just that. of country and roots rock at The Coach House in Orange County, CA on April 26, 2018. 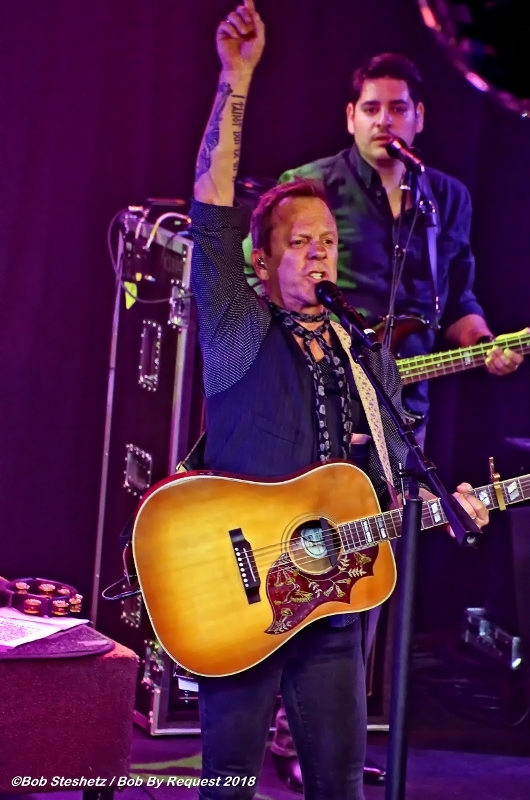 Kiefer Sutherland's performance at the Belly Up in Solana Beach, CA in May 2017 was one of my favorite concert performances of last year (read my review of that show here) so it should come as no surprise the artist's first-ever performance at The Coach House in Orange County, CA (delivered on Thursday night, April 26, 2018) marked another excuse to celebrate one of country music's true rising stars. Sure, the star of Designated Survivor has been an acclaimed actor for more than 30 years, but the release of his full-length debut album Down in a Hole in August 2016 was truly a surprise. 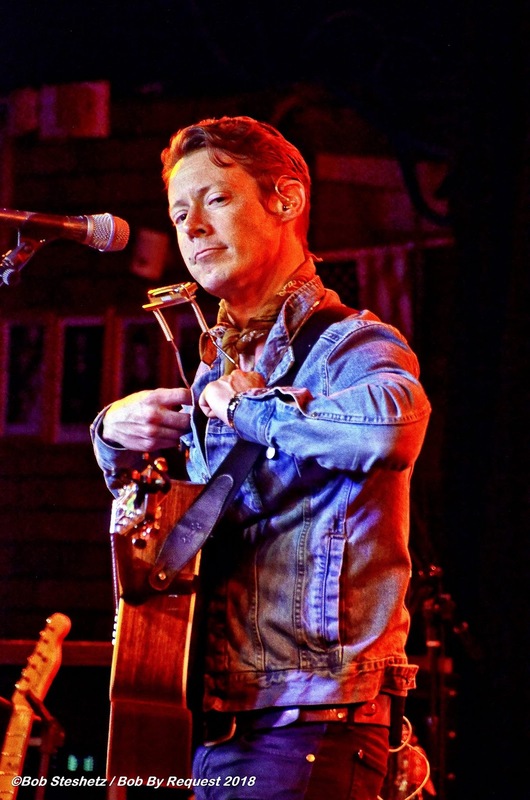 Filled with detailed and confessional original material blending traditional and alt-country styles, the album's stellar songs gain even more depth via Sutherland's compelling concert appearances. That definitely proved to be the case over the length of a fast-moving, 90-minute performance as part of his 2018 Reckless Tour that was staged in San Juan Capistrano last night. 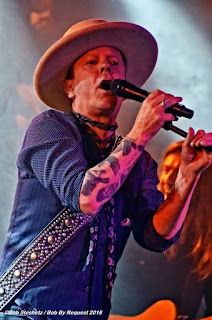 While the Coach House set list featured included many of the same songs featured last year, there was an added confidence, depth and power this time around. 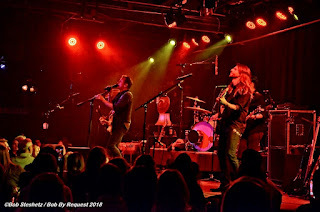 In addition to Sutherland's obvious star power and bona fide talents as both singer and songwriter, credit the strength of a top-tier band featuring guitar great Michael Gurley (of DADA and Butterfly Jones fame), drummer Jess Calcaterra, guitarist Austin Valleijo and bassist Joseph DeLeo with further bolstering the night. There was a strong rhythm to the night, with Sutherland and company coming out rocking with the song "Run to Him," Sutherland working a tambourine as he took the stage. Strong guitar work from both Gurley and Valleijo injected further firepower in the opener. The night featured uptempo countrified rockers, poignant ballads, and winning covers that consistently worked. There were also the concise but revealing asides where Sutherland would discuss the genesis of his own tracks and affection he had for the covers and the artists that created them in the first place. There were many high marks of the night. The early part of the show featured the confessional blues-country tune "Reckless & Me" with Gurley's ethereal slide guitar work adorning Sutherland's heartfelt vocals; the emotional rocker "Going Home" with its big finish leading into the tender ballad "I'll Do Anything" came next. A rousing rollicking cover of Patty Loveless' "Blame It On Your Heart" was pure fun; a cover of the late Merle Haggard's "The Bottle Let Me Down" was faithful in both its power and in traditional country stylings. 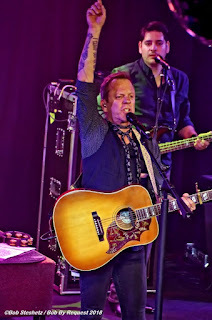 Kiefer Sutherland on April 26. Late set highlight were just as powerful with the country-folk nugget "Faded Pair of Blue Jeans," haunting "Calling Out Your Name" (the ambitious arrangement spanned from a quiet opening to a sweeping Neil Young-styled blast to finish), Americana rocker "Down in a Hole" (complete with a duel between Gurley and Valleijo) and terrific honky tonk-worthy cover of Lone Justice's "Ways to be Wicked" adding to the momentum. The show ended with palpable power. After performing the apt acoustic tribute to professional truck drivers ("Open Road"), Sutherland and his band were off to the races. 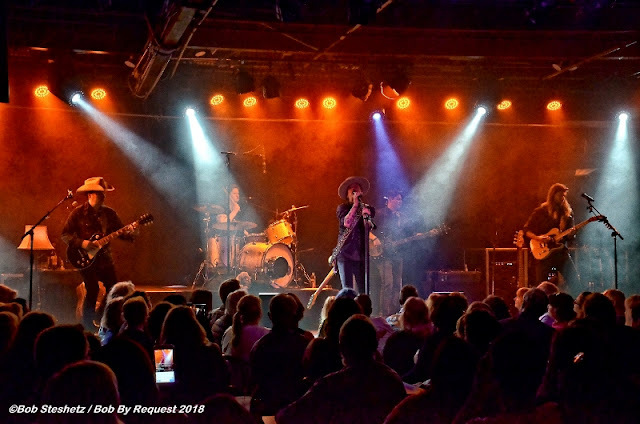 They unleashed the mighty country rocker "Rebel Wind," a fitting freewheeling tribute to the late Tom Petty ("Honey Bee") and finally finished off the inspired night with a new original Latin rock track, "Agave." To be sure, the same artistic talents Sutherland has displayed on screen are evident in his strengths as a singer, songwriter and sonic storyteller. 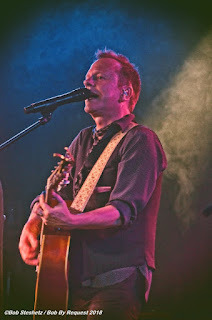 Visit Kiefer Sutherland's official music site here. Coach House on April 26, 2018. Opening the show was Macon, Georgia-spawned singer-songwriter Rick Brantley, whose Southern charm helped get the crowd to sing along on some of his fun-styled material but thankfully never masked the power of his probing acoustic numbers. Highlights of his 45-minute set included the sparse Bruce Springsteen-tinged "40 Days, 40 Nights," eloquent study of suffering, the affecting "Hurt People." His soulful cover of the Otis Redding classic "Try a Little Tenderness" was a justified crowd pleasing moment with everyone riveted by Brantley's inspired vocals and strong rhythms on his acoustic guitar. If you love vinyl and or The Rolling Stones, this is pretty exciting news!